Plantar fasciitis is inflammation of the thick tissue on the bottom of the foot. This tissue is called the plantar fascia. It connects the heel bone to the toes and creates the arch of the foot. Bailey Chiropractic Centre of High Point, NC can help you with plantar fasciitis pain and discomfort. If you are suffering from foot pain, contact us at our High Point, NC office today to schedule your a visit with our chiropractor, Dr. Bailey. Plantar fasciitis occurs when the thick band of tissue on the bottom of the foot is overstretched or overused. This can cause pain in your foot and make walking more difficult. Plantar fasciitis most often affects active men ages 40 - 70. It is one of the most common orthopedic complaints relating to the foot. Plantar fasciitis is commonly thought of as being caused by a heel spur, but research has found that this is not the case. On x-ray, heel spurs are seen in people with and without plantar fasciitis. The pain associated with plantar fasciitis may develop slowly over time, or suddenly after intense activity. Chiropractic can help with plantar fasciitis. Chiropractic X-rays may be taken to rule out other problems, but having a heel spur is not significant. Wearing a boot cast, which looks like a ski boot, for 3-6 weeks. It can be removed for bathing. In a few patients, nonsurgical treatment does not work. Surgery to release the tight tissue becomes necessary. Chiropractic treatments almost always improve the pain. Most patients feel relief from plantar fasciitis with their first chiropractic visit. 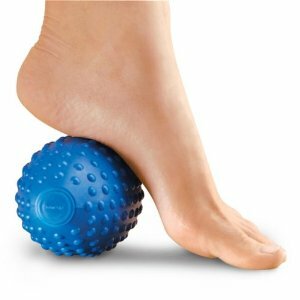 Making sure your ankle, Achilles tendon, and calf muscles are flexible can help prevent plantar fasciitis. Contact us today if you have symptoms of plantar fasciitis and we can schedule you for a chiropractic examination.